I can't think of any physical thing I have had with me continuously for so long. She's been through the wash a couple of times by accident, but has held up pretty well. 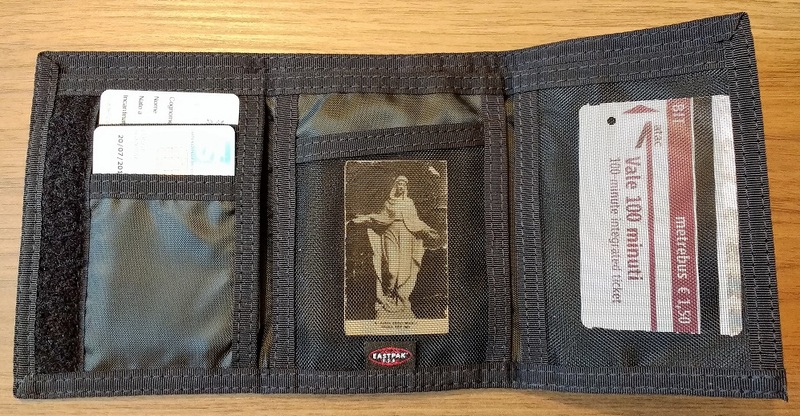 The prayer on the back is mostly gone, though. 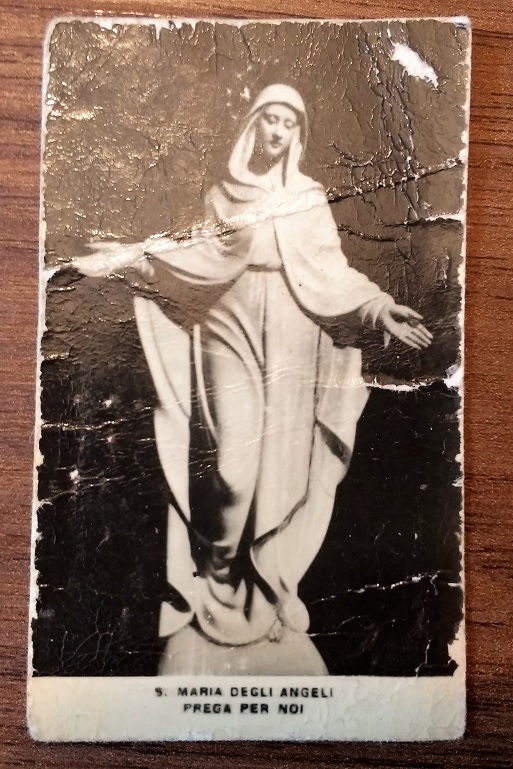 Thinking on this, I am reminded how Our Lady has always been with me. In the early days of my Catholic life I had reason to turn to her and her rosary, and that was a great grace. Indeed, over the course of my journey in Catholic Christianity, I have come to notice certain 'barometers' that reveal how I'm doing; if I'm in a healthy place or if I have gone off track. And one of these is how close I'm sticking with Our Lady and her rosary. 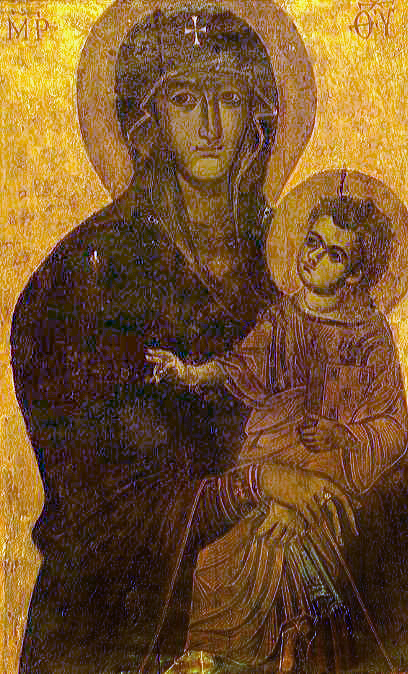 More recently, in my current Roman sojourn, I have found myself drawn and invited into devotion to Our Lady, Salus populi romani (salvation/health--in the sense of 'protectress'--of the Roman people). I love her very much, but not as much as she deserves.